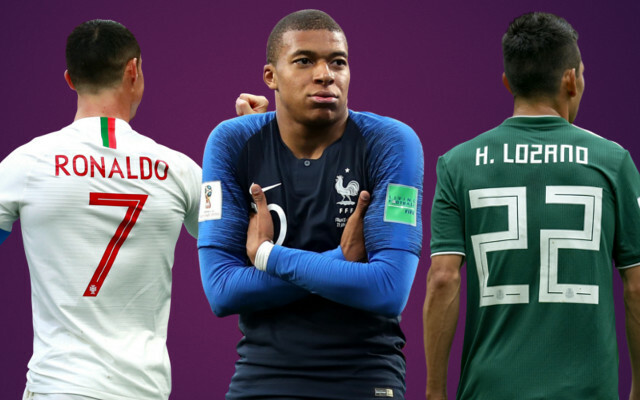 World Cup 2018 Group Stage: Who needs what to qualify for knockout? World Cup 2018 Group Stage: Who needs what to qualify? The first two round of FIFA 2018 saw some surprise results. Yet all big teams remain in contention for round of 16 qualification even if not in a convincing fashion. All eyes will be on Argentina and Messi who are yet to win a game and now need a big win against Nigeria in their final group game to progress. Let’s take a look at who have already qualified, which teams are in trouble. Find all the permutations and combination for the scenario group-by-group. Both Russia and Uruguay have qualified for the round of 16 from Group A, and the result from their meeting on Monday, 25 June will decide who wins the group. If that match ends in a stalemate, Russia will earn the top spot due to superior goal-difference. Meantime, both Egypt and Saudi Arabia are eliminated. It is a three horse race in Group B with any two from Spain, Iran and Portugal can qualify for the round of 16. Spain just need a draw against the already eliminated Morocco in their final group game. But, they could get knocked out with a defeat depending upon the result of Portugal v Iran game. Portugal will qualify with a draw, while Iran need nothing less than a win in their head-to-head meeting. If Spain and Portugal are level on points at the end of group stage, goal-difference and then disciplinary record decide the better team. If both are level, the winner will be drawn through a lot. France have qualified for the knockouts, yet they need a point from the final game against Denmark to win the group. With a win, the Danes can top the group relegating Les Blues to the second side, this will automatically eliminate Australia. The Socceroos can still qualify if they beat the already eliminated Peru and Denmark lose to France by more than 2 goals. Will Argentina make it to the World Cup 2018 knockout phase? The equation is simple on paper, Argentina can qualify if they beat Nigeria and Iceland lose to Croatia. Croatia had qualified for round of 16 with a pair of wins and they can claim the top spot in the group with a draw against Iceland. Nigeria will qualify as the second best team with a draw against Argentina and if Croatia do not lose to Iceland by more than 2 goal margin. For Iceland to qualify, they must defeat Croatia by a 2 or more goal margin and hope Nigeria draw with Argentina. Group F involve Brazil, Serbia and Switzerland in a three horse race. Both Brazil and Switzerland can qualify with a draw in their final group game against Serbia and Costa Rica respectively. Serbia must ideally beat Brazil to qualify or expect Switzerland to lose by more than 2 goals to Costa Rica if they drew the South Americans. Germany’s last minute win against Sweden opened up Group F, which also make Mexico to wait until their final group game. In a nutshell, the Mexicans can still be eliminated. The order of classification in case teams are level on points is as follows – 1) goal difference 2) number of goals scored. If three teams are level on points and level on the above two criteria then disciplinary points come into play. From the point standing, the final group game is a direct competition between Sweden and Germany to win their respective game by a bigger margin. If Germany win their game against the weakest opponent in the group South Korea by a wide margin, then pressure is directly on Mexico and Sweden. If Sweden pull out a miracle and defeat Mexico by 2 or more goal margin, this will eliminate the South Americans, otherwise the Swedes will be knocked out. England and Belgium confirmed their place in the knockout and their match-up on Thursday determines who go through as group winner. Tunisia and Panama are out after heavy defeats to the European giants in their second group game. Colombia pulled them back into the qualification race after the dominant 3-0 win over Poland and eliminating the Europeans. Neither of Japan and Senegal are safe yet, but they can make to the final 16 with a draw. While Colombia must win their final group game against Senegal, which could eliminate the African side.